Exit the Biosciences Complex from the main entrance and walk south until you reach the New Medical Building. 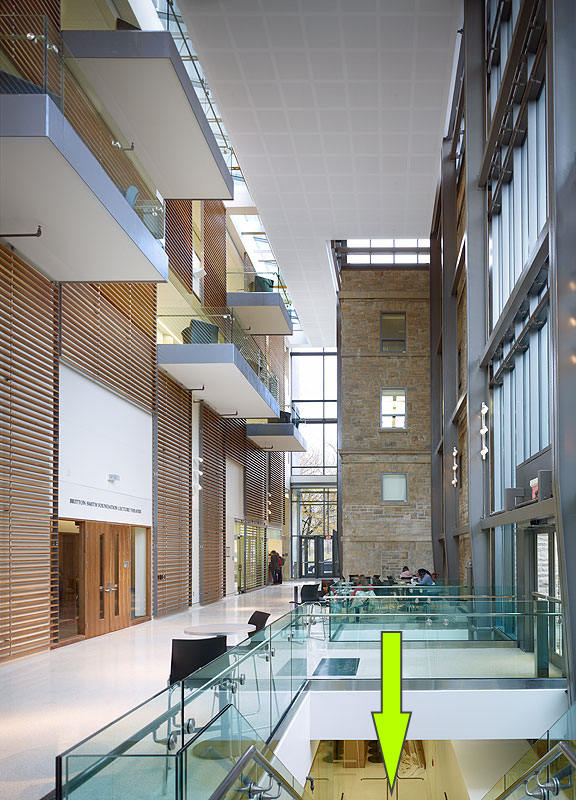 Enter the lobby and walk through the David M. C. Walker Atrium. Turn right at the large auditorium across the hall from the base of the stairs, and continue down the hallway until you reach Room 021. It will be on the left side of the hallway.